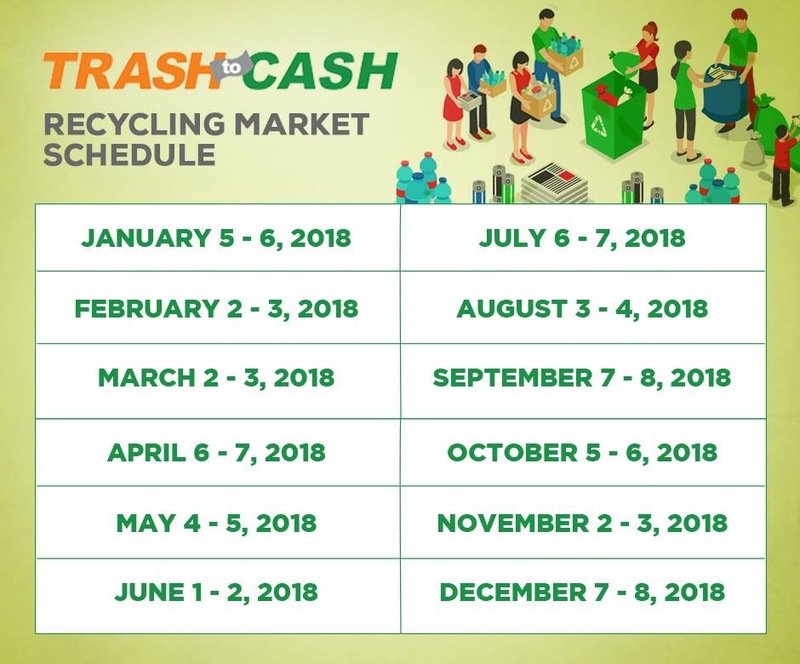 Home / Recycling Market / Schedule / SM City Rosales / SM Supermalls / Trash to Cash / It's time to turn that TRASH TO CASH! It's time to turn that TRASH TO CASH! Here's a reason to declutter your home: You can earn from our #TrashtoCash recycling market! We'll accept scrap papers and cardboards, plastic and PET bottles, tin and aluminum cans, wooden furniture, metal cookware, and kitchen items. The #TrashtoCash recycling market is happening in all SM Supermalls nationwide (EXCEPT SM Cubao and SM Makati).